Illinois has applied to the federal government for a waiver that could bring Illinois not only a significant increase in Medicaid dollars, but also more flexibility for how those dollars are spent. We talked to two members of Gov. 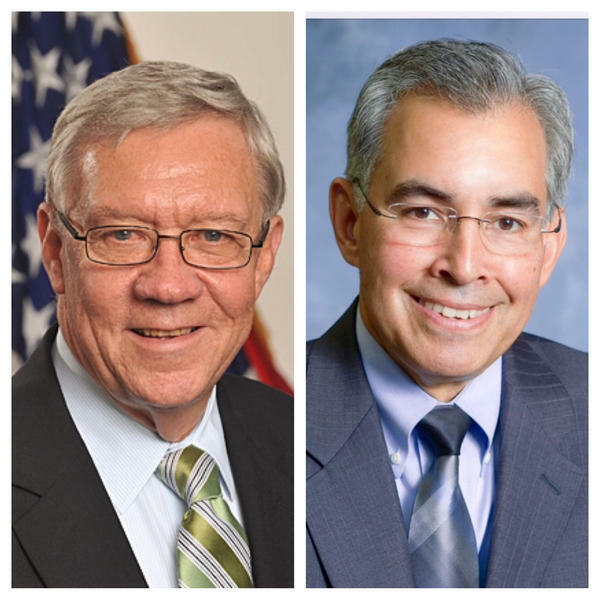 Bruce Rauner's cabinet -- Human Services Secretary James Dimas and George Sheldon, acting secretary of the Department of Children and Family Services -- about what this waiver would mean for the state. What the 1115 waiver is, it basically is a request to the federal government that allows us to do innovative things. In this case, we’ve chosen behavioral health -- mental health and substance abuse and the impacts on children and adults. And that waiver allows us to do things with Medicaid dollars that we would not otherwise be able to do. And it front-loads it. Over the period of five years, it would bring $1.2 billion in additional federal money into the state of Illinois. That plus some state plan amendments, which go separately but it’s also Medicaid dollars, would bring an additional $1.5 billion. So over the course of the five years, we’re talking about an increase of about $2.7 billion. I don’t know the exact number, but I think it’s around 20 or 24 states that have already received 1115 waivers. We’re trying to do something that’s more comprehensive than what most states have proposed. We chose the area of behavioral health because it really cuts across virtually every single agency in Illinois from (the Department of) Corrections to Children and Family Services what Secretary Dimas is doing in mental health and substance abuse. If we get this 1115 waiver, we’ll be moving forward with integrating behavioral and physical health in one setting. Right now, we operate in our silos and we expect our customers to navigate between them, and that’s very problematic, especially for people that are suffering from mental illness or from substance abuse disorders. One other thing is we’re going to do some pilots of early childhood mental health consultation and intervention that will feature home visits for families that are at risk of, for example, ending up in George’s system (DCFS) and also bringing behavioral health consultations to care settings that already see kids -- and helping family physicians, teachers, day care centers be able to be a gateway to behavioral health diagnosis and treatment for kids that need it so that we detect children that are having a problem sooner than we do now. And we’re also going to be piloting some first-episode psychosis programs. This typically happens in young adulthood, and the lifecycle of that illness now is we oftentimes don’t intervene in the first episode, we wait until it becomes a pattern and we’ve learned from studies that have been done that when you wait that long, it produces disabilities that those individuals struggle with typically for the rest of their lives. And if you can intervene in the first episode of psychosis, you can produce a much better result for the individual and save the taxpayers’ money. Like right now, our system is indexed on things like psychiatric hospitals and emergency rooms. That’s where we do much of our behavioral health treatment and it’s very costly for the taxpayers and it’s very bad for the individuals that are having problems. The 1115 waiver is not enough by itself. We also are doing state plan amendments, we’re doing much more aggressive federal claiming on things like supportive housing vouchers. The big idea is to create a bubble of mostly federal funding that will allow us to build enough community capacity to begin to reduce our reliance on deep-end care. We are hoping against hope that the current administration will approve this before they leave town. Otherwise we’ll have to wait for a whole new set of actors to get in place. It probably won’t happen before January because they have a due-diligence function that they have to exercise, so we have to be able to demonstrate that by giving us the latitude to use federal money differently right now, that it will save them money in the long run. I don’t think I’ll go there, Dusty. Everybody recognizes that virtually everybody in Illinois has had someone in their family or a friend touched by the issues of mental health or substance abuse. That crosses party lines. So the waiver that we’re submitting will be submitted with bipartisan support.